As the Vice President of Swann Communications USA, Dennis McTighe knows a thing or two about keeping the home secure. 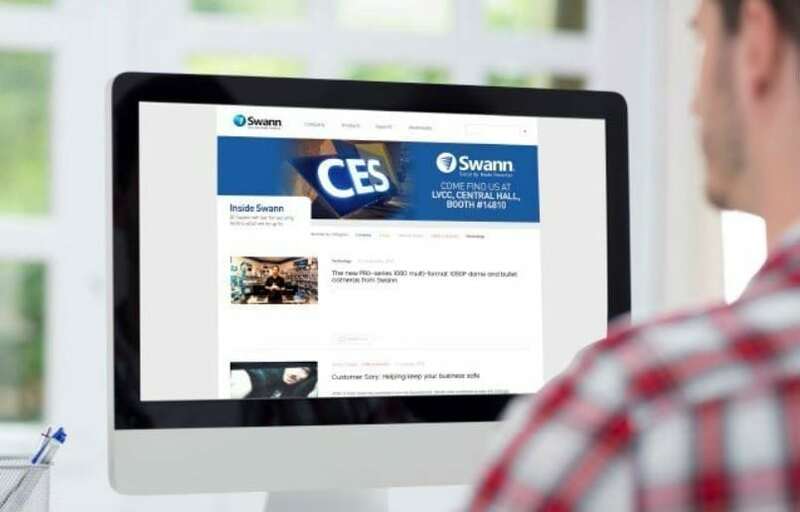 In this exclusive interview, we discuss the history of Swann, how security has changed throughout the years, and expectations for CES and beyond. Innovation & Tech Today: Tell me a bit about Swann. When did the company start? Dennis McTighe: Swann began 30 years ago, in the basement of David Swann’s family home in Melbourne, Australia. Swann pioneered the category of Do-it-Yourself security and surveillance products. Our products are designed to make homes, businesses, and our local communities safer. Today, Swann conducts business in over 40 countries on six continents with offices in the USA, Canada, Australia, UK, Hong Kong and China. Swann is part of the Infinova Group, providing the business with enhanced manufacturing capabilities, cutting-edge research and development of security and networking solutions, and access to an expanded international network. I&TT: How does Swann differ from the competition? DM: We have a strong United States presence, great product assortment, excellent customer service (our call centers operate 24/7) and brand equity that creates trust and confidence. The growth in the security and surveillance category has attracted a large influx of new vendors who are inexperienced in selling the category to the retail channel. Customers know this is a product purchase that is built on trust and confidence. Customers want an experienced company to use. That’s Swann. I&TT: What has been the biggest change in the field of security since the company launched? DM: The current development of wireless and wire-free products and expansion of the smart home/connected home category. Wireless security cameras are attracting a brand-new customer. One who may have previously never considered a security or surveillance product. Customers are buying these items because they are easy to install and can operate anywhere in their home. People are using these products differently – maybe to watch their pets or backyard pools. I&TT: What are your hopes for CES this year? DM: To see the exciting expansion and growth of the smart home/connected home category. Security and surveillance products are right in the middle of it! And these products mean different things to different customers. We are looking forward to a big 2018. I&TT: Does Swann have any new products launching in 2018? DM: Yes! For the customer with serious security needs, you will see an expansion of true 4K security kits from Swann – both DVRs (digital video recorders) and NVRs (network video recorders) at very affordable price points. Our cameras and recorders are true 4K, and the picture detail is amazing. All of our 2018 products come equipped with Swann’s “True Detect” motion and heat detection system. Next is our new, value-packed wireless/ wire free smart security cameras. Swann wire-free cameras operate on WiFi and WiFi only, no hub needed. They’ll work with just about any router. What that means is that the customer likely already has everything they need to install a camera. It also means that the overall cost is lower compared to several of our competitors. The best part is that someone can set up cameras in different locations without having to buy additional hubs/hardware. Swann places no limits (software or hardware) on the number of cameras you can put on an account…. some others do. More wire free and wireless products to come in 2018. I&TT: What are your expectations for the future of Swann? DM: Historically in consumer electronics, big category growth invites a lot of new players to join. But customers are both smart and savvy. Experience, value, and brand equity all have meaning in the CE business. Swann has all that and more. If you treat customers right with strong products and support, they support you. We see an opportunity to expand our footprint with the customer. We can do this by introducing them to the category or providing serious security to their homes and business. We welcome the opportunity. Previous article Modern Technology and a VPN: Do You Need One?